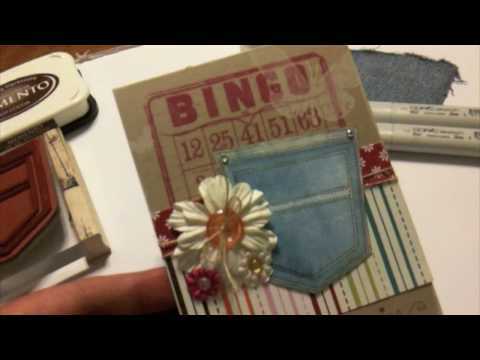 I put together a short palette blending tutorial and video for the Splitcoaststampers newsletter this week! Such a great technique for extending color range where you may be missing some colors or for blending two complimentary colors together! 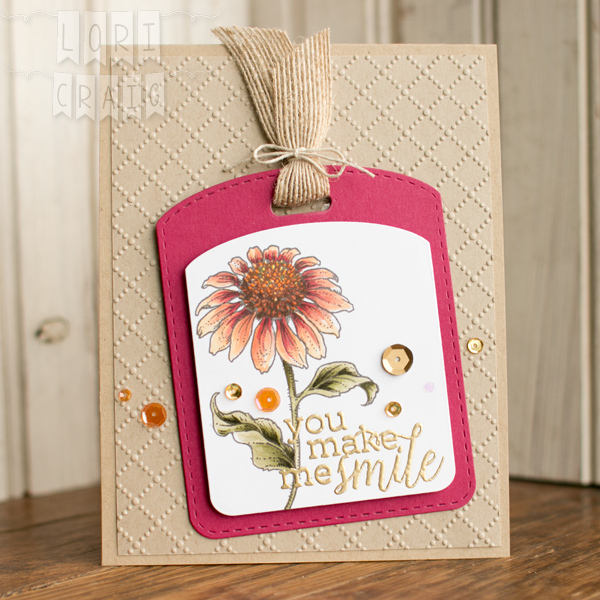 My image is from the Power Poppy set called Prairie Cheer… It a gorgeous set with beautiful flowers and WHEAT! Swoon. 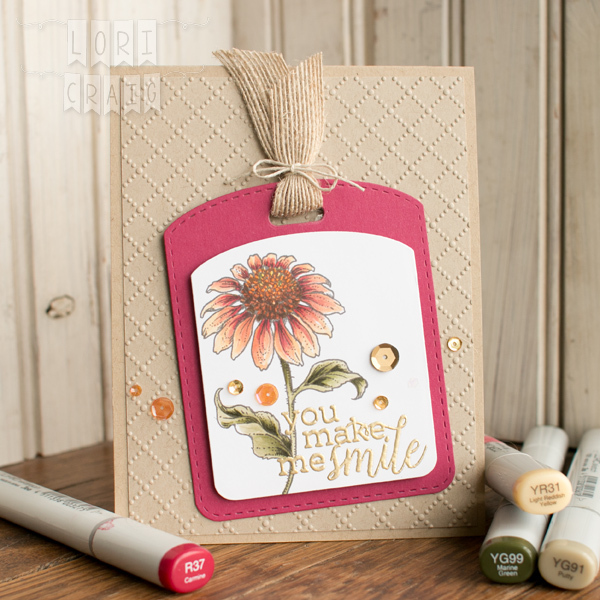 You can see the step-by-step coloring process in my tutorial video. I’m painting today…and not the fun watercolor kind… touching up trim and walls. Good times…said no one ever. But, I will be so happy when it’s done! Thanks for stopping by! Have a colorful day! We have just returned home from an extended family weekend and seeing an incredible, history-making baseball game at the KC Royals stadium on Saturday! Summer on-the-go also means I need my favorite Copic Markers in a grab and go pouch – small, easily portable and yet still representative of the rainbow! There is a lot of thought that goes into pre-selected Copic Marker sets that either Imagination International (your North American distributor of Copic Marker) or some of your favorite retailers have created, but sets aren’t the be-all-end-all for many of us! If I’m traveling to teach, I have specific teaching sets that I use. The colors in these sets are put together around specific images that we use to teach specific concepts in our classes, so they are heavy on shades of green and earthtones, more limited in vibrant pinks, blue greens and yellows… they are great for teaching, but not my own personal style. And, that is the problem with almost any pre-made set – you won’t love 100% of the colors represented – and with a tool like Copic, you should have the colors you LOVE first! FAVORITE COLORS that you’ll use on the type of images you love. 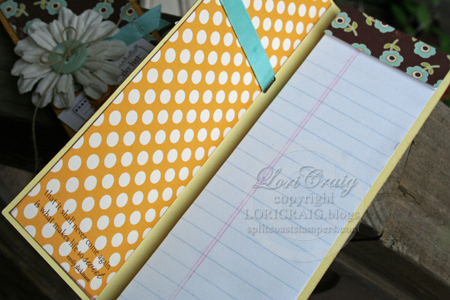 When I say my favorites – I mean just that – my own personal favorites. I have a small selection of greens and browns for flower stems and nature, and then some more vibrant pinks, coral reds, yellows and lots of blue/greens. You might notice that my ROYGBIV is absent of any V. I reach for violet very rarely, so there isn’t real estate in my pouch for purple. Sad to some of you, but true for me. 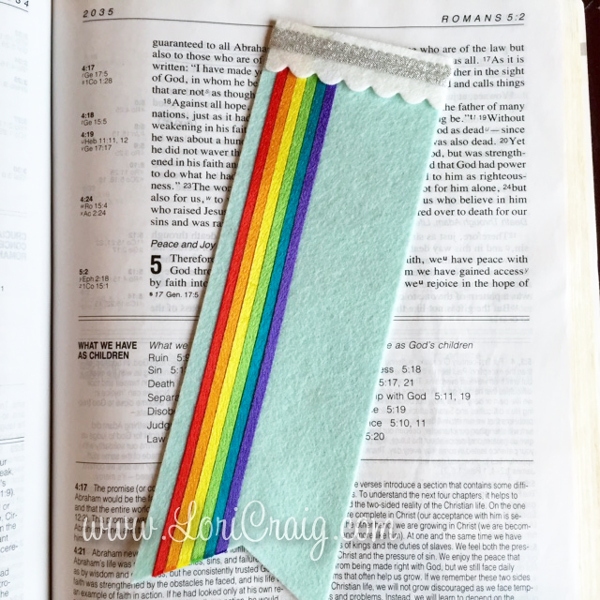 I started this collection by taking a look at colors I am drawn to across the rainbow. 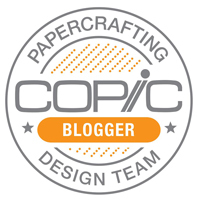 It is very helpful to see these colors in person, so a trip to a paper crafting or fine art store that carries the Copic line may be helpful so that you can see the hues in true, natural light. Notice that most of these colors end in a 4 or 5 – the last number indicates the value – how light or dark the shade is on paper. These are bright and vibrant colors, but unless I am coloring flat images – no shading, no contrast, no depth or dimension – I need shading options. 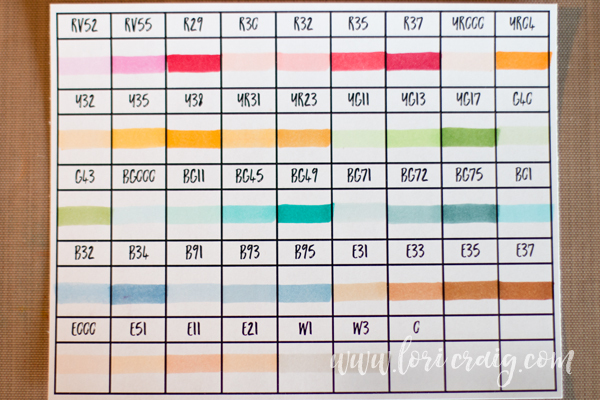 For each of these colors I looked to the Copic Color Chart for a natural blending partner. A natural blending partner will share the same first letter (hue) and the same first number (saturation… or gray) – but the last number (value – how light or dark) will change. 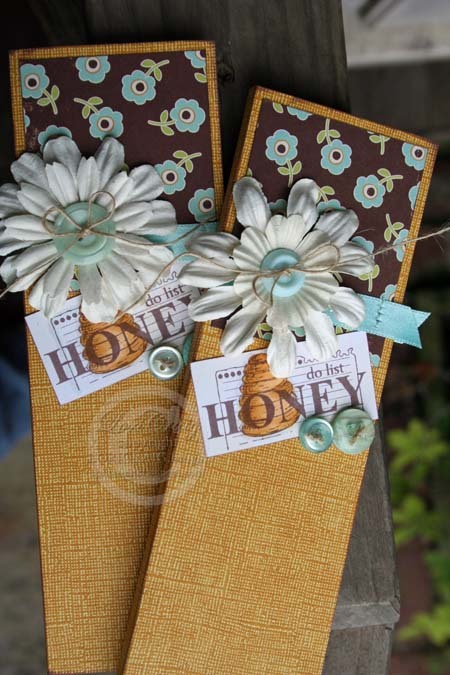 Look one or two colors in either direction of your favorite for natural blending partners. 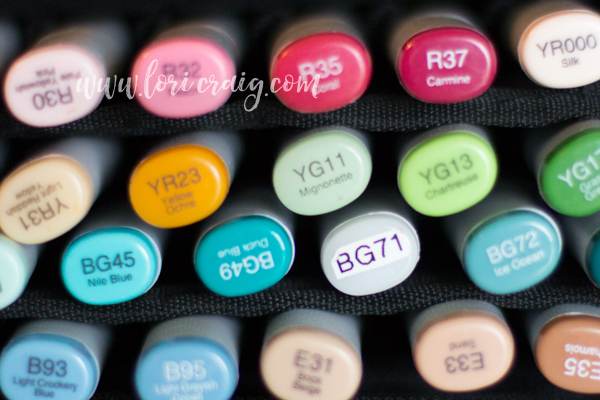 If you are counting markers in my favorite set, you’ll see this bottom row (pictured above) of colors makes for more than 36-colors in my wallet. 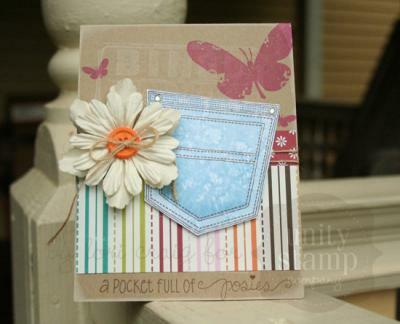 I don’t take up room in my wallet for a simple skin color combination, two light grays or a colorless blender. I rarely color people on-the-go, so I do not need a lot of skin tone options. These seven markers are tucked into the zippered pocket on the back pouch of my Copic wallet so that I have them when I need them, but they do not take up precious slots. 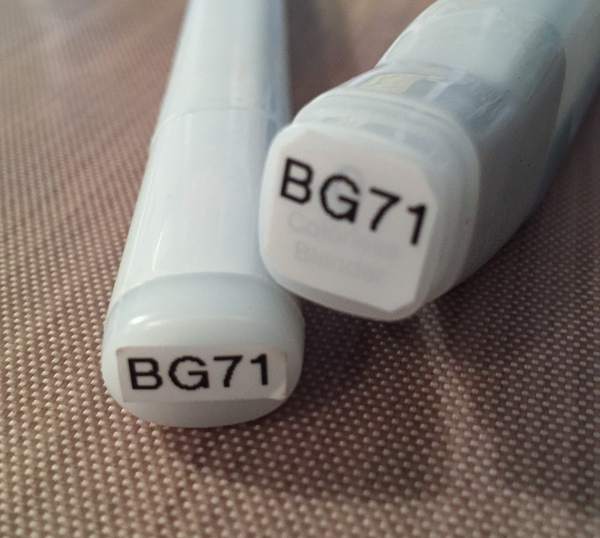 You may have noticed this tacky label for a BG71 color in my favorites – and it may or may not have occurred to you that Copic does not make a BG71 color. The BG72/BG75 color combination has always been a favorite of mine, and long before BG70 was introduced a few years ago, I needed a lighter shade that would allow me to blend from BG72 toward highlight. 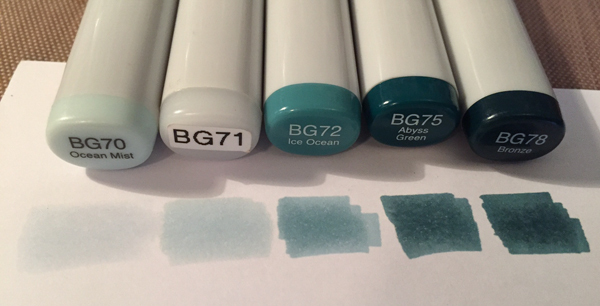 Using Various Refill for BG72 and BG000 – I created my own custom color that I called BG71 in an empty Various Refill container and adding to an Empty Sketch Marker. 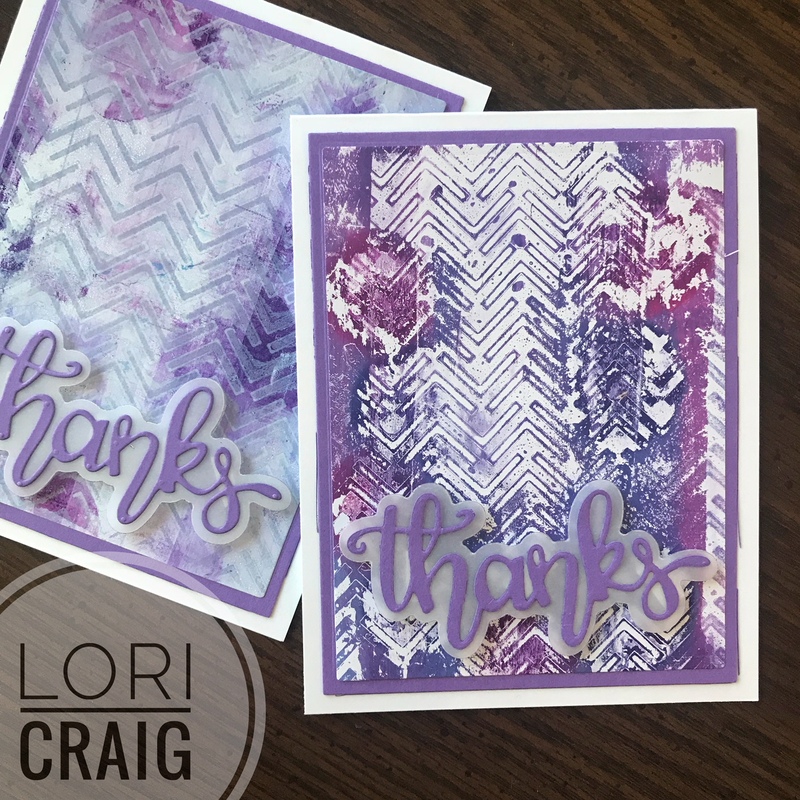 I have several colors that I’ve created for my own personal preference, and I suggest mixing those colors in the refill bottle and then filling the empty marker – this keeps your color formula consistent in the barrel of the marker as you refill. This is how I’ve ended up with BG71 in my favorite 36! 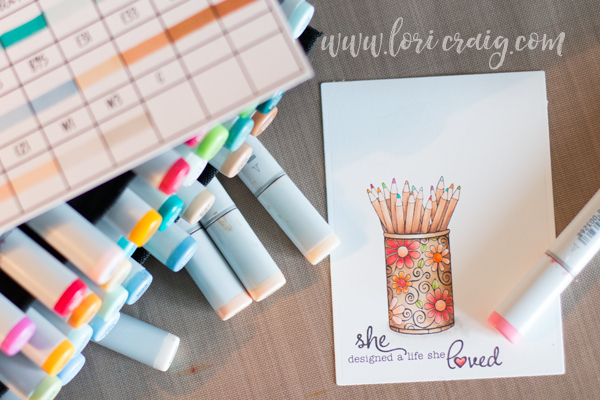 After you’ve created your own personal kits – keep a filled in color chart and the Copic color chart handy so that you can be intentional about where you add colors when the opportunity arises. 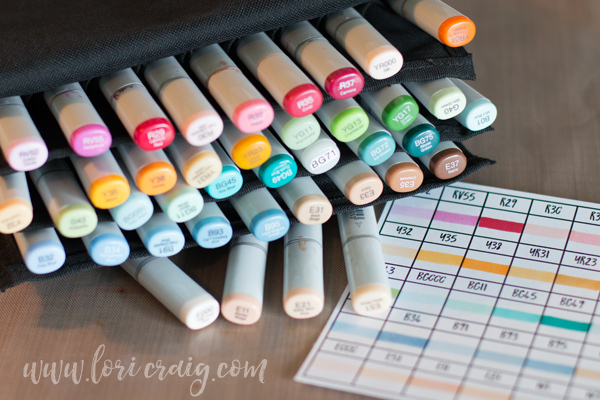 Empty Copic color charts and the complete Copic color chart and wheel are available as free download resources! Look for colors you love and build with balance. Add blending partners (same hue and first number) to your favorites – leaning toward a lighter partner if you can’t add both light and dark. Keep a blank color chart and a color wheel handy to look at how you would change your look and add new colors intentionally. 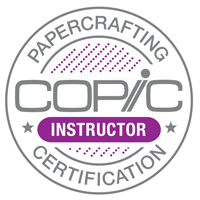 I have a busy week ahead, and I’m wrapping up our Copic certification classes for the year in Des Moines this weekend! After this weekend, I’ll move to teaching workshops for the rest of 2016. Come and see me! 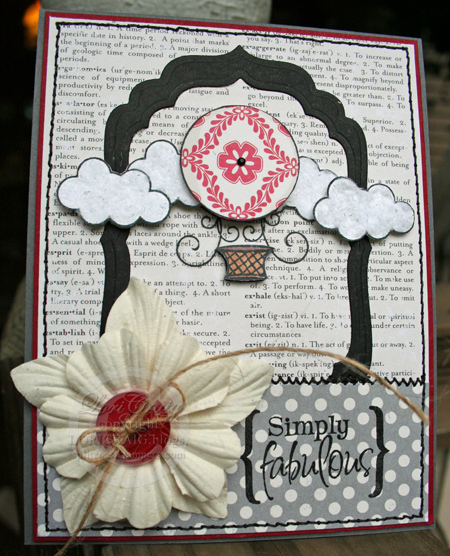 A second sample for the Tutorial Blitz that is going on at Splitcoaststampers. 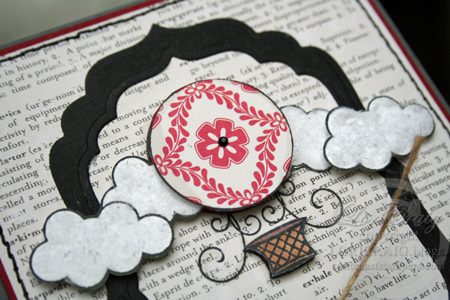 You can see this tutorial here! 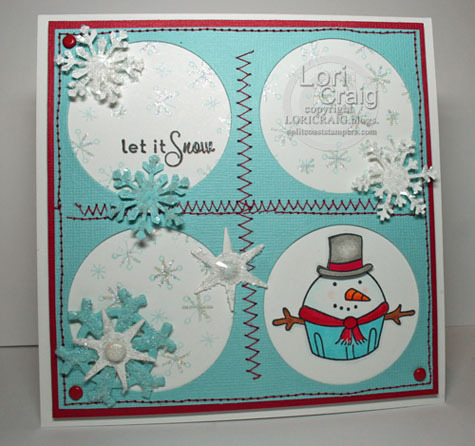 The top blue layer is stamped with snowflakes from Verve Stamps, Winter Wonder set, and then I smooshed VersaMark Frost (Tsukineko) all over the cardstock to make it shimmer. 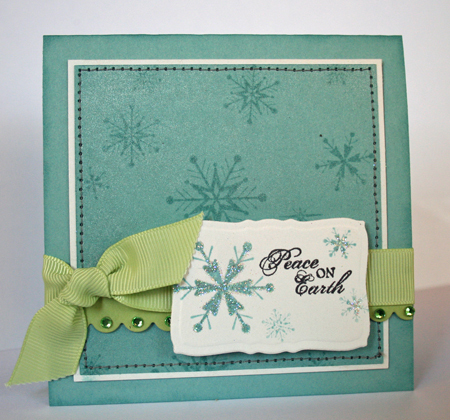 It has the same shimmer effect as Cryogen White (or SU’s Shimmery White) cardstock. Very pretty. 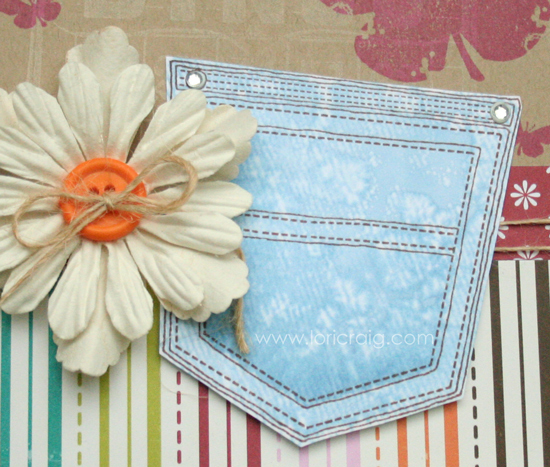 The white tag was cut with Curved Rectangle Nestabilities. 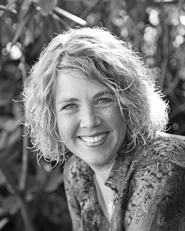 You can find the Nestabilities or the VersaMark specialty pads from Ellen Hutson. 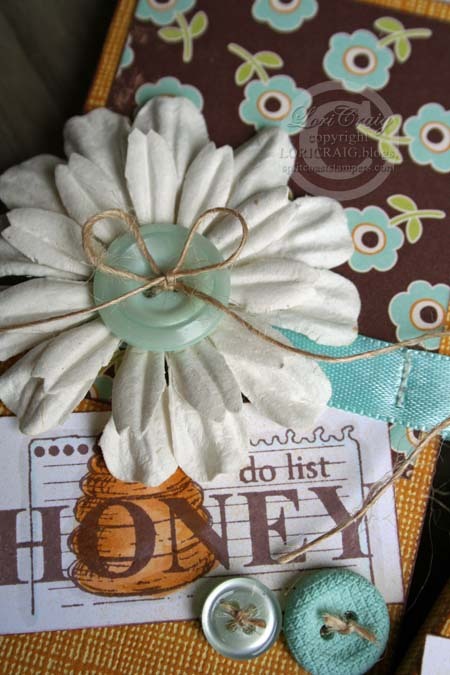 Be sure to check out the Home Page at SCS everyday this week for a fun new project or pretty to get a jump start on your holidays. Have a wonderful week!